Books are flying out of Bloomington authors’ computers at a dizzying rate. For instance, prince of the city Tony Brewer, has just released a verse collection entitled Hot Type Cold Read. It’s his second, following up Little Glove in a Big Hand. 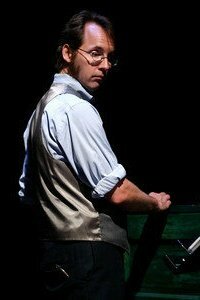 Tony Brewer is a sound effects savant, golden-throated announcer (he’s one of the voices of the Bleeding Heartland Rollergirls), screenwriter, e-typesetter, and, natch, poet extraordinaire. Is there anything this guy can’t do? Pick up his book as soon as you can, otherwise you’ll be left in the dust. Alright, I’ll admit here and now before the assembled Pencillistas and the rest of the world. If I weren’t madly in L with The Loved One already, I’d go for a dame like the junior senator from Mass. FYI: E No. 1 is a long-dead film icon, No. 2 is a former kidnapping victim, No. 3 is the younger sister of the skeletal Olsen twins, and No. 4 is, I have learned, some blonde actress. Elizabeth Warren is not to be found. Sigh. Anyway, my definition of hotness in a woman includes the traits plain spoken, caring, smart, strong, and dedicated. 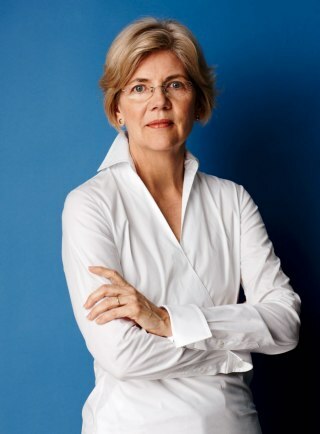 That’s E. Warren, no?